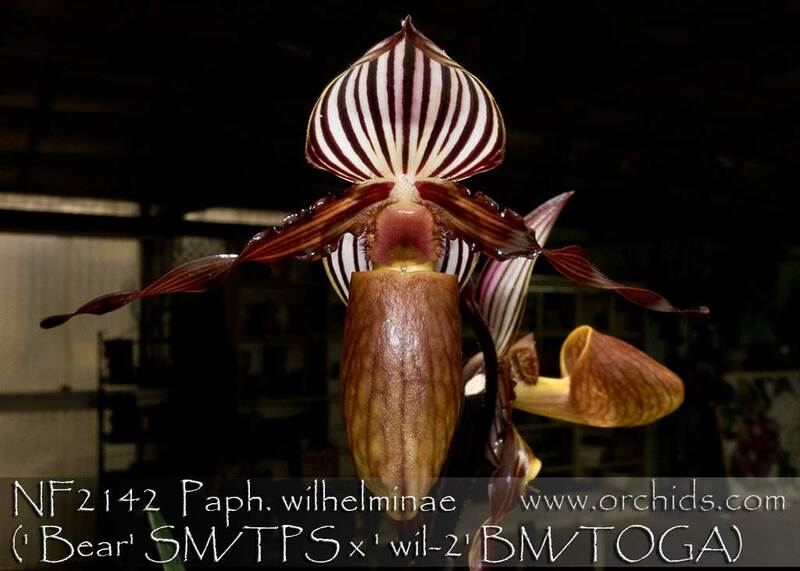 An outstanding remake by renowned Mr. Bear of this stunning Paph. species to further intensify its bold marks, intense color and size ! 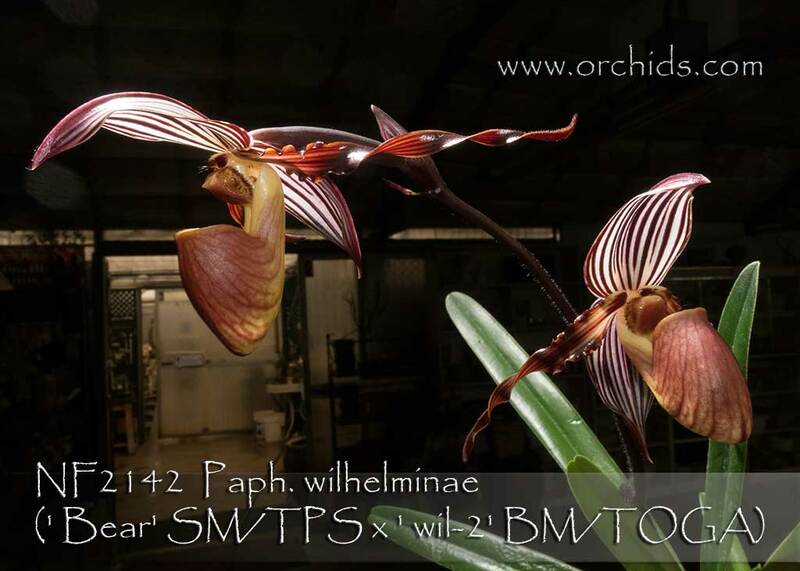 Using two proven and awarded parents, Mr. Bear has succeeded in producing a population with large flowers dramatically marked with crisp, well-defined & bold striping on its broad dorsal and synsepetal. 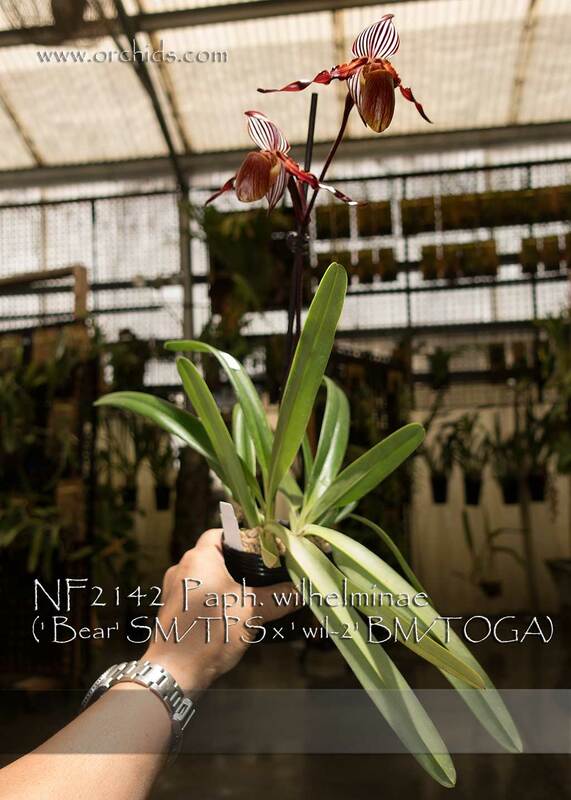 Grandly presented pouches add to its presentation in addition to its charmingly twisted dark petals. 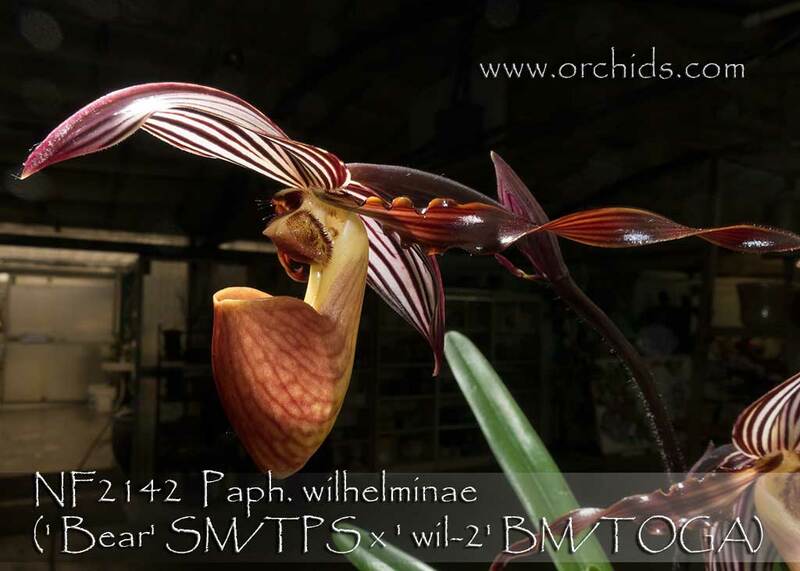 Very Highly Recommended for every Paph. collection !